We are located in Cayma, our home is in a comfortable, safe, traditional neighborhood and access to beautiful scenery. Cayma also boasts plenty of Arequipa's best “picanterias”, restaurants, shopping, movie theaters and bakeries. You will be able to reach the heart of the White City quickly, where you can find restaurants, “picanterias”, supermarkets, stores, bakeries, bars, cafes, movie theaters, ATMs, pharmacies and our historical city center. 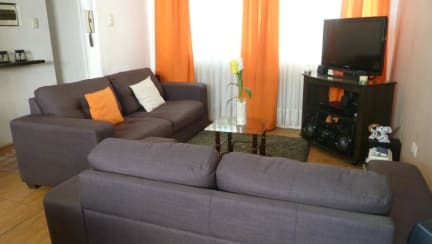 Homestay Diaz Cuba offers 2 comfortable private rooms, for 1 and 2 people. Our single room with shared bathroom is located in the third floor and has 01 single bed (comfortable mattress and extra blankets are available). The room is composed by 01 night table with night lamp, 01 desk with chair, 01 personal wardrobe with hangers, 02 outlets 220V, 01 window and an access to terrace and viewpoint of the house. 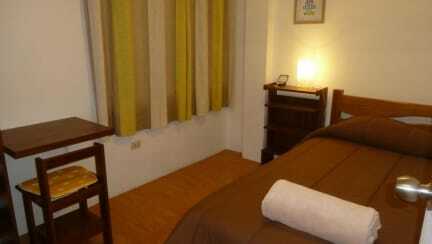 The second room, is a double room with shared bathroom. The room is composed by 2 single beds 01 night table with night lamp, 01 desk with chair, 01 personal wardrobe with hangers, 02 outlets 220V, 01 window. Located in the third floor as our single room. Check-out time is 2 pm (Flexible time, for more information, please contact the property).